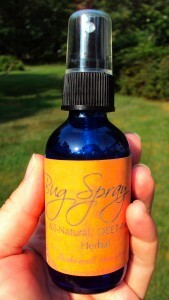 This herbal bug spray repels ticks, mosquitoes, deer flies, ants and more. Keep your kids and yourself safe and healthy while enjoying your favorite outdoor activities. Unlike DEET-based products, this bug spray is non-toxic and will not rot plastics, so it’s safe for your sunglasses, phone, iPad, fishing gear, manicure, beach ball, lawn furniture and your skin. 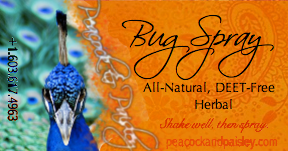 This herbal all-natural bug spray also has a lovely refreshing, energetic scent, so you can garden, barbeque, dance, and picnic with it on and not worry about it getting into your food or ruining your fun. It’s been tested on people, clothing, picnic baskets and blankets, laundry baskets, sneakers, sunglasses. Protect yourself from Lyme Disease, Eastern Equine Encephalitis, West Nile Disease, and other tick- and fly-borne diseases.